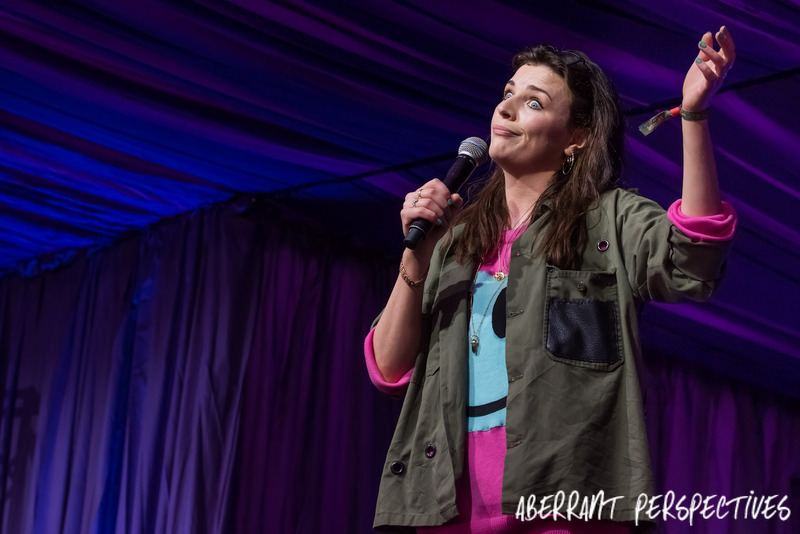 8 out of 10 Cats captain, Aisling Bea, performed in the comedy tent at Latitude Festival on Sunday. Although it was only a short set, she made sure every minute was gloriously funny. 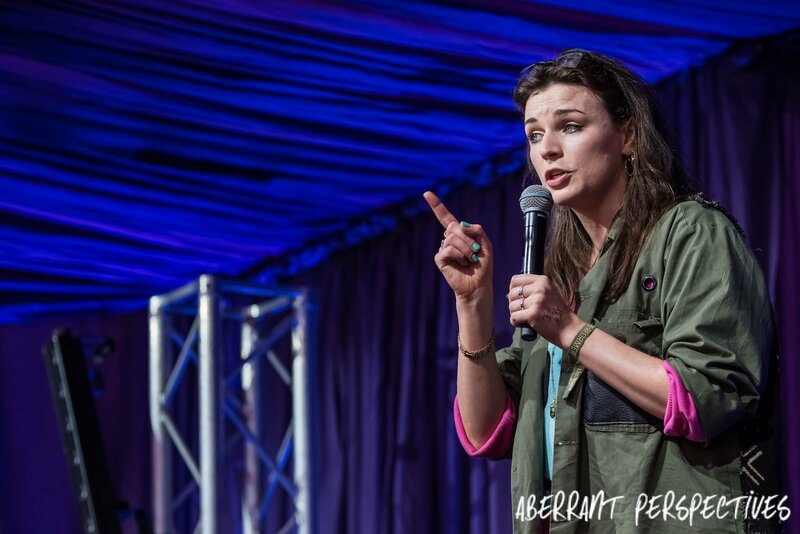 Aisling addressed the typical Irish stereotype of drunken behaviour, by describing her very own typical drunken antics. 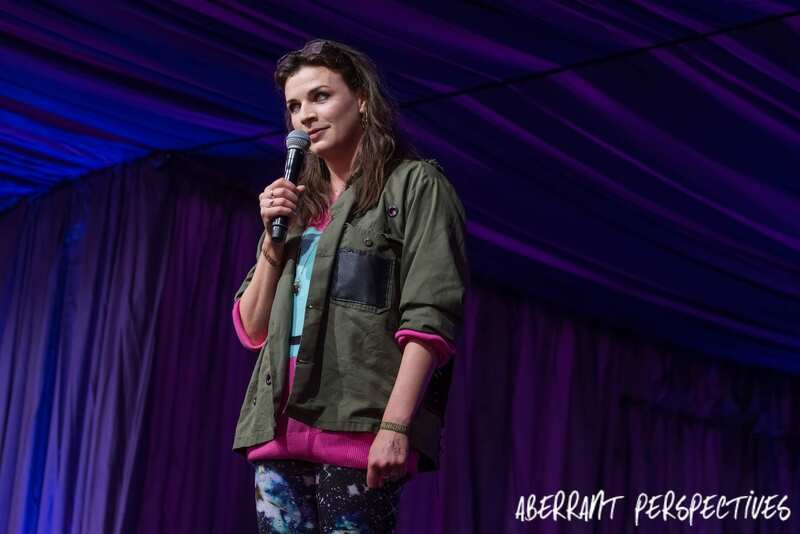 “I tried to give up drinking, but the problem was that I didn’t want to” she told the audience, with a smirk. In her hilariously self deprecating way, she told a variety of stories, all of which highlighted that she’s the “sickly drunk”. Tales of parties and every other place where alcohol is available, or not; she admitted that she’s that ‘drunk friend’. 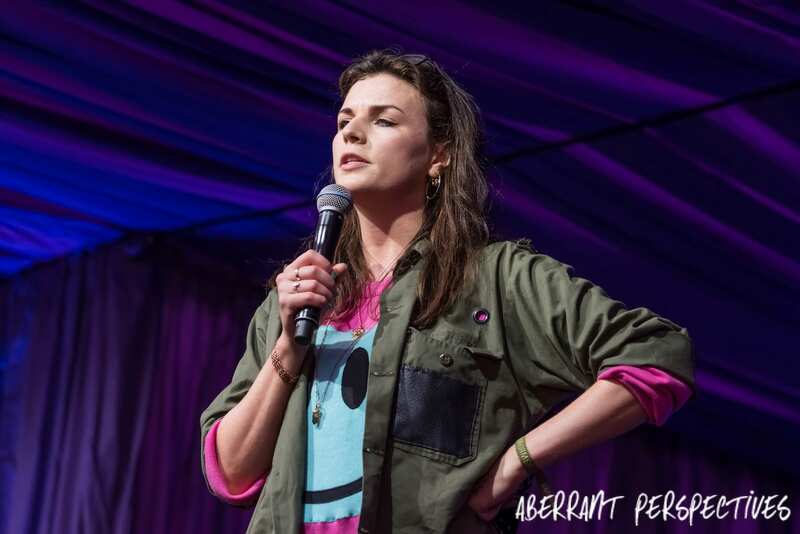 Directly addressing that she doesn’t try to be a ‘stereotypical Irish woman’, she graphically described a night that resulted in a rather grim taxi ride home. 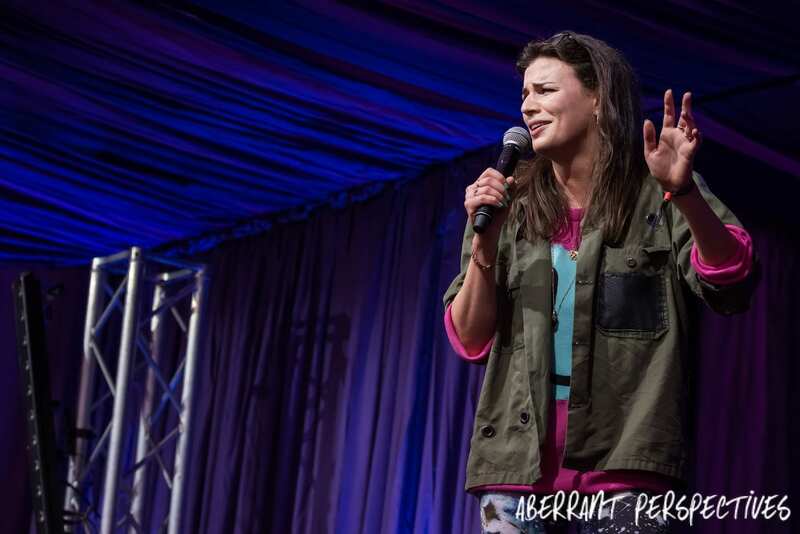 The audience was engrossed, laughing whole heartedly and at points left feeling a little bit sick too. 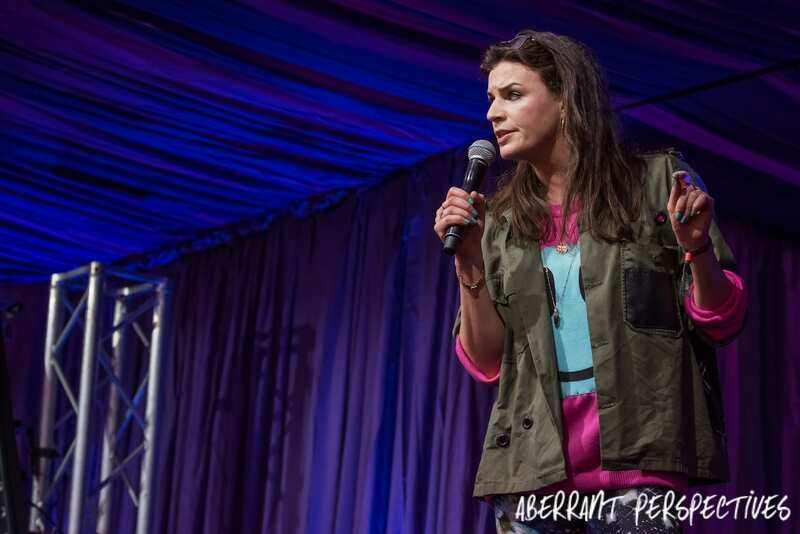 However Aisling’s relaxed and animated delivery not only makes her vivid stories forgivable, but also very funny. 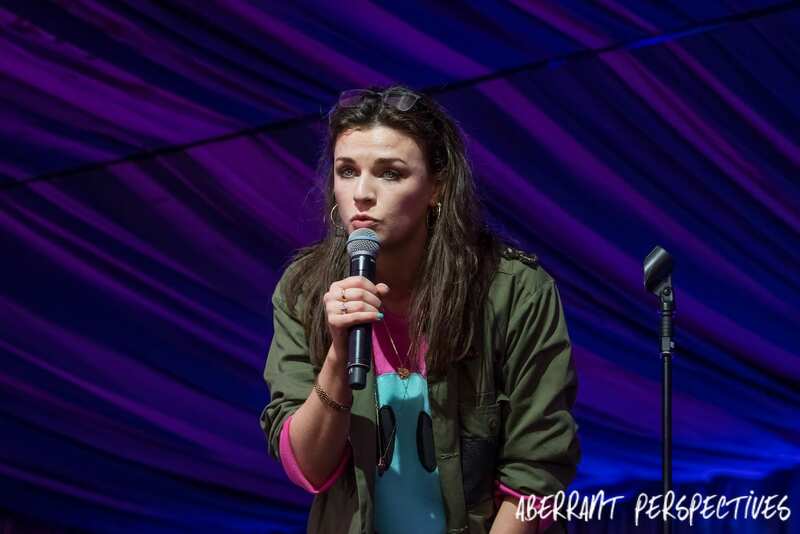 There was a BSL interpreter throughout the performance, much to Aisling’s amusement. Aisling asked the interpreter to teach her some signs. She quickly realised that the signs that she wanted to learn, were exactly the same signs that hearing people would do. 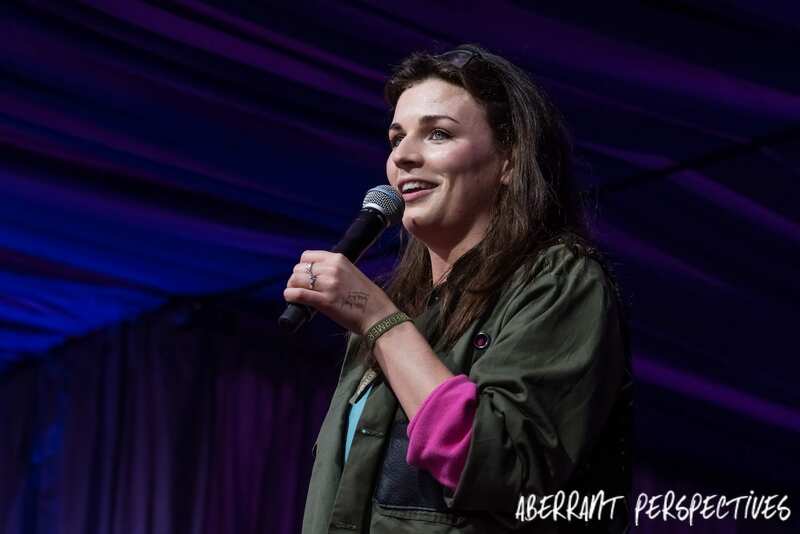 Neither Aisling nor the audience could contain their laughter at that realisation and it encouraged Aisling to bust into song. “It’s exactly what you’d do” she sang, as she danced around the stage repeating the action over again. Throughout her performance, Aisling maintained her nonchalant manner and her quit wit. She performed in a way that suggested she was thinking out loud. Her tales were combined with spontaneous outbursts of animated performances. Aisling’s short show was well thought out, hilarious and every moment was performed perfectly. Aisling is well known for her comedy. After appearing on a very long list of well known comedy panel shows, including being a team captain on the latest series of “8 out of 10 Cats”. She also has a string of successful TV and film appearances under her belt. After all she is a classically trained LAMADA actor. More recently though, Aisling has just finished filming the new series of Dave’s Taskmaster. Taskmaster, is a curious type of TV show. Hosted by Greg Davies and Alex Horne, who also created the show. The new series will feature Nish Kumar, Sally Phillips, Bob Mortimer and Mark Watson. They will be working to complete a whole new set of pointless tasks. If the previous series are anything to go by, the tasks will be completed with hilarious results. Under the direct supervision of Alex, the contestants will compete to ‘please’ Greg to win points. While their understanding, approach, results and speed in which they complete the tasks will affect Greg’s final decision on who wins the points for each round. The new series of Taskmaster is due to air on Dave this September. She also landed a part in season 3 of ‘The Fall’, a gritty BBC Drama series in which she plays Nurse Sheridan, another woman pulled into the dangerous orbit of ‘Spector’. If that’s not enough, Aisling will be in the BBC’s new pre apocalyptic crime drama ‘Hard Sun’, due to air later this year on BBC1. 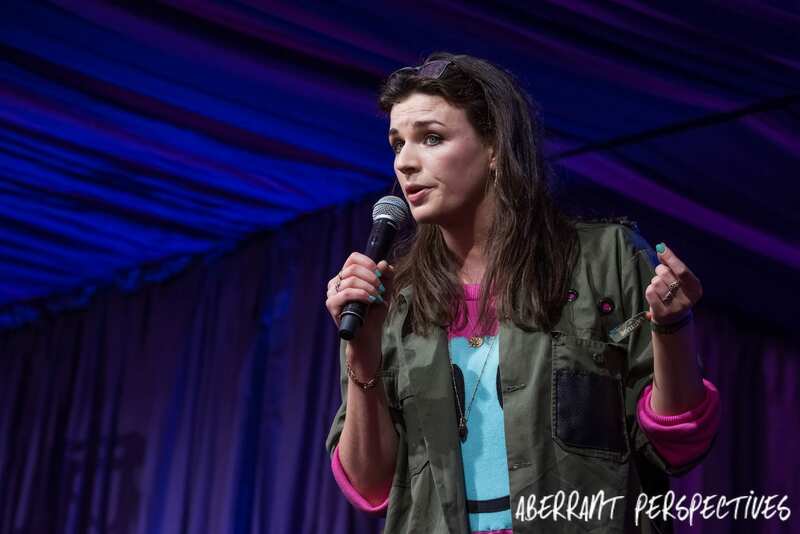 For more information about Aisling Bea and where you can see her live or on TV; go to her website www.aislingbea.com. If you would like to see more of Aisling’s drunken antics and what she’s up to in general; you can follow her on Twitter, like her Facebook page and follow her on Instagram.